When it comes to your employees, do you consider yourself a good communicator? Even more importantly, do you consider yourself a good listener? 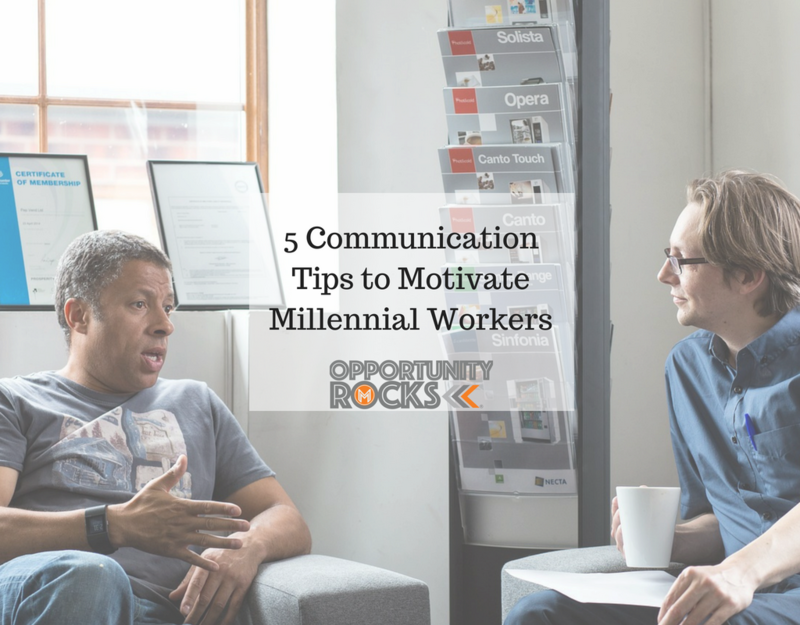 If you’d like to better motivate your millennial workers, one of the key strategies is to listen to what they have to say. The millennials were not brought up in households where “children should be seen and not heard” but rather were valued for their opinions and ideas. Much like rock stars, millennials are a powerful segment of the population who want to have a voice and make a difference in the world. They are talented, creative, and motivated. If you listen to what they have to say, you just might find the answers to your most pressing business issues. As leaders, you likely underwent a great deal of training in regards to communication: How you can best share your ideas, your grand vision, and your daily expectations with your team. However, a huge (and often ignored) piece of communication is listening. 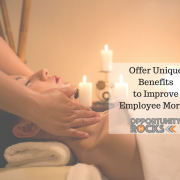 Here are some tips for getting the most out of your millennial employees by taking their thoughts and ideas into consideration. An open-door policy sounds good on paper, but do you actually live it? Are you available at any time (within reason) for employees to discuss their concerns or present ideas to you? 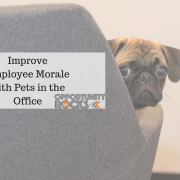 When employees see that you want to hear what they have to say, they’ll be more likely to talk to you, and less likely to become a source of negativity at the water cooler. If your job doesn’t allow you to be available at all times, set up specific hours when employees can meet with you. Do you have to be the source of all good ideas? 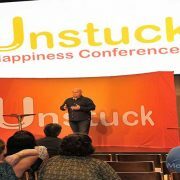 Often, the answers to your problems and the innovative ideas necessary to move the company forward don’t come from management. 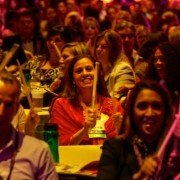 These ideas come from the front-line employees who are in the trenches. When you are willing to listen and implement these ideas, you’ll open up a new world for your company. 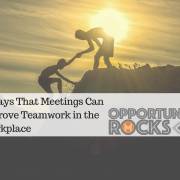 Just because you’re doing your best to communicate openly and honestly, doesn’t mean that your employee will do the same. They may control their words, but it is much more difficult to control body language. Even when they are holding back, their non-verbal cues will likely betray them. Keep an eye out for obvious movements like leaning back or forward in their chair, crossing their arms in front of them, shifting their body away from your direction, not maintaining eye contact, etc. These may signal that they are uncomfortable or excited about the conversation. It may also mean that they are feeling attacked and feel the need to defend themselves. If you pick up on a specific movement, gently question how they are feeling at that moment and they may relax and provide more information. Not every idea is a good one and not every complaint is valid. That being said, you should still listen, verify, and validate everything brought to your attention. Let your employees know that you understand what they are saying and will take it into consideration. People just want to be heard. Often, this is enough to put the problem to rest. While you should always be honest with your employees, this tip actually refers to being honest with yourself. When you listen to your workers, they may tell you something that’s hard for you to hear. Perhaps they have an issue with your leadership style or don’t like the way that you handle certain situations. Whatever the criticism is, you’ll want to be honest with yourself. It’s always possible that they are deflecting one of their issues onto you and you won’t need to change your behavior. But, the possibility exists that you are actually doing something poorly. Look at your behavior, talk to a trusted friend or colleague, and decide whether you need to make a change within yourself. Marvelless Mark® reminds his clients that millennial employees want to be heard and considered. They want to have their own voice in the company. 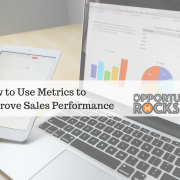 When you are available, open-minded, aware of non-verbal cues, respectful and honest with their ideas and feedback, you will see the rock star results you know they are capable of. 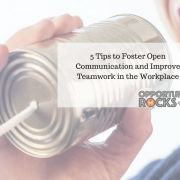 5 Tips to Foster Open Communication & Improve Teamwork at Work! Can Team Interviews Improve Teamwork in the Workplace?